Longtime TV and radio journalist Roland Martin refuses to give NBC “TODAY” Show host Megyn Kelly an A+ for putting her tail between her legs and returning to a topic that got her in a load of trouble Tuesday. On Tuesday, Kelly blew up the internet by saying that dressing up in blackface for Halloween is no big deal as long as it’s done respectfully. And with that, the white host unintentionally created a horror show for herself a week before Halloween by appearing to be ignorant about race and the historical connotations of blackface. Kelly apologized internally late Tuesday. On Wednesday, she began her show with two words: “I’m sorry,” she said as her voice began to quake with what looked like might be impending tears. Her studio audience gave her a long standing ovation. The camera panned to many black men and women around the studio clapping and cheering for her. 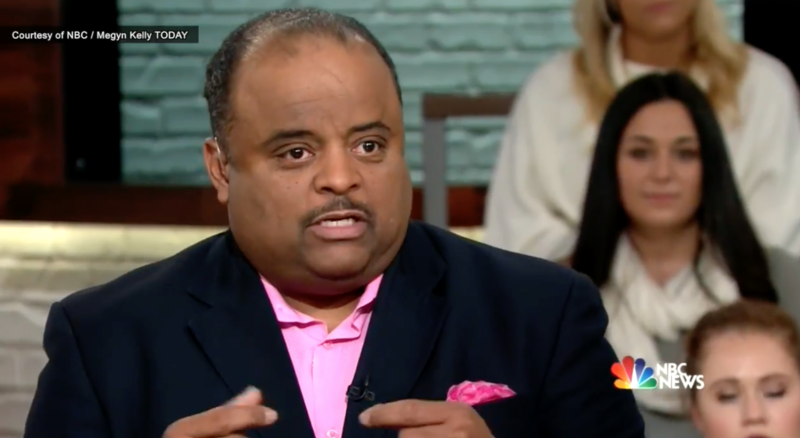 In a conversation with The Mirror Wednesday, Martin, who hosts the left-leaning digital talkshow, Roland Martin: Unfiltered, made it abundantly clear that he couldn’t care less about fixing Kelly’s PR image by inviting two black journalists on her program to hash out her ignorance. Martin appeared on Kelly’s show with PBS’s Amy Holmes, a conservative journalist who co-hosts a show called In Principle. This isn’t the first time Kelly has gotten into hot water with racial matters. When she worked at Fox News, she said Santa Claus and Jesus are white. CNN’s Don Lemon wasn’t nearly as kind to her as Martin and Holmes when he talked about her comments Tuesday night. Martin stressed repeatedly that he was not there to help her. Martin said this issue won’t end with Kelly. As we become a nation whose majority is people of color, he said, you’re going to see a need for substantive dialogue that is one-on-one, on television, radio, in churches and communities. Martin said he believes Kelly can repair the damage. Did he find her genuinely wanting to understand another point of view?